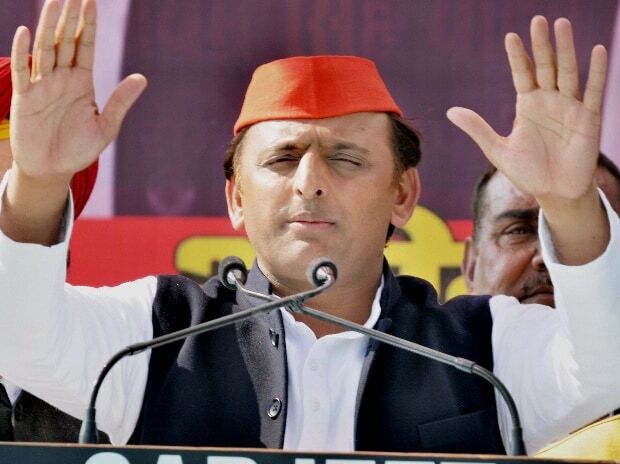 Samajwadi Party (SP) on Friday released its manifesto for Lok Sabha elections 2019 promising to provide a monthly pension of Rs 3,000 to women belonging to poor families. The party promised it would expand the purview of its now-defunct Samajwadi Pension Yojana to maximise its reach. The scheme was scrapped by the incumbent Yogi Adityanath government after coming to power in March 2017. SP has also proposed to impose an additional 2% tax on households having property worth more than Rs 2.5 crore (which it claimed numbered 0.1% of the total domestic households) for redistribution. The party has proposed to impose a higher tax rate on affluent sections and those evading taxes. The manifesto claimed such steps would help in poverty alleviation and strengthen the economy for sustainable growth. Earlier, Congress had also promised that if voted to power it would deposit Rs 72,000 with the poor households under its ambitious ‘Nyay’ scheme. In the key state of Uttar Pradesh, Congress is locked in a tight triangular battle against the ruling Bharatiya Janata Party (BJP) and the SP-Bahujan Samaj Party (BSP) combine. Releasing the party manifesto or ‘vision document’ in Lucknow this afternoon, SP president and former UP chief minister Akhilesh Yadav claimed the economic divide in the country was widening and any fight against poverty would prove futile without fighting gender and caste inequalities. “Under the present (Narendra Modi) government, only a handful of industrialists have benefited, while the poor have become poorer,” he said, stressing on social justice for achieving equality and economic prosperity. Meanwhile, Akhilesh alleged that the Modi government was concealing key socioeconomic data - joblessness, farmers’ suicides etc - for vested interests. He also demanded that the government make the caste census public for a better formulation of policies in the country. Targetting the Goods and Services Tax (GST), Akhilesh said that barring a few businesses, the new tax regime had virtually destroyed domestic trade. He noted that public sector banks were running in losses, while demonetisation had only hurt the country’s economy. The manifesto also talks about overhauling of the primary education system and upgrading pedagogy for more job and market-oriented education, so that youth could gain employment. The party has also promised to provide 100,000 new jobs every year. The party has promised to build playgrounds in every village and Samajwadi hostels in all prominent educational institutions. As far as national security is concerned, the party has said that it will create an Ahir Armoured Regiment and a Gujarat Infantry Regiment, and adopt a tough stance while dealing with Pakistan and China. The manifesto also holds out promises for internal security, women empowerment, green energy etc.